Monmouth Executive Airport has on-site aircraft mechanics who can provide repair, inspection, and maintenance services for most types of piston aircraft. 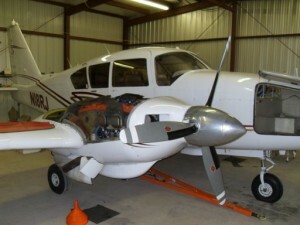 For over 25 years, the Marlboro Aircraft company has been providing on field aircraft maintenance, service and inspections to both single and twin engine propeller aircraft. Marlboro performs many of the most common aircraft maintenance services with the convenience of a local, on-airport facility. Their experienced aircraft mechanics perform maintenance operations ranging from routine services to major repairs and refurbishing of Vintage aircraft. At Marlboro Air, Owner Bill Bienes has a commitment to providing excellent service at affordable prices. Call him today at 732-938-5078. For more information on aircraft maintenance services available at the airport please call the FBO at (732) 751-0044.